The Eriskay Connection (NL) are finishing up a couple of new projects that will be available in Liège. Half of the books are made with Belgian photographers. "In hectic life most of us long for quietness every now and then. Thinking of the notion of silence, the desert became the focus of Claudia den Boer. The desert is not only a place where it's literally quiet, but can also be interpreted as a metaphor for silence; it's where a specific place and a 'state of mind' comes together. On 8th October Liège Photobook Festiva and BIP Liège jointly organise portfolio reviews open to all visual arts. The deadline for the online registration is before 26th September. The space is limited. Be fast! More reviewers will be announced in the next days and weeks. Do not hesitate to visit our website later again. Le 8 octobre Liège Photobook Festival et BIP Liège organisent conjointement des lectures de portfolios ouvertes à tous les arts visuels. De nouveaux lecteurs seront annoncés dans les jours et semaines qui viennent. N'hésitez pas à visiter notre site régulièrement. La date limite pour les inscriptions en ligne est le 26 septembre. Les places sont limitées. Dépêchez-vous ! 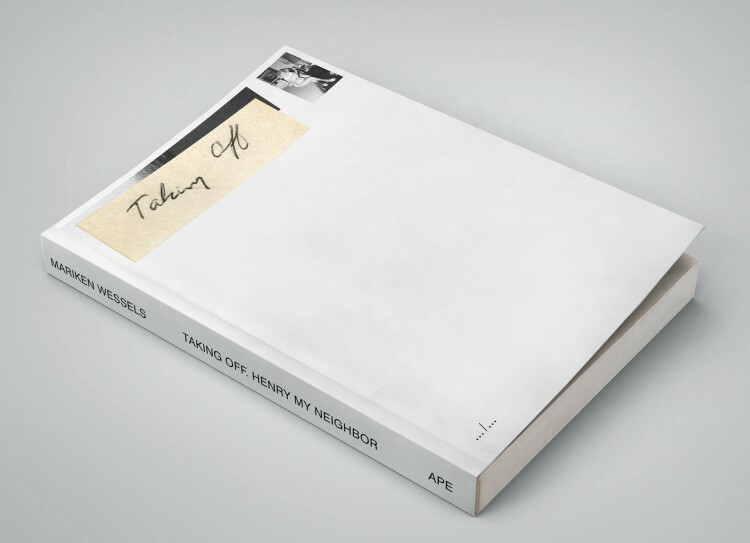 Congratulations to APE (Art Paper Editions) for being among the winners of the Best Dutch (and Flemish) Book Designs 2015 with Mariken Wessels' fantastic book “Taking off. Henry my neighbour”. We are happy to welcome them to Liège Photobook Festiva this October! Bravo à APE (Art Paper Editions) qui sont parmi les lauréats du prix Best Dutch (and Flemish) Book Designs 2015 avec le livre “Taking off. Henry my neighbour” de Mariken Wessels. Nous sommes heureux de les accueillir à Liège Photobook Festival en octobre!